Back in February we launched a t-shirt campaign. Jessica and I were so excited to deliver on what so many of you had asked for: Live Sincerely t-shirts! As most of you know, this timing turned out to be more challenging than expected. After seven years of cancer and nearly a year and a half in hospice, our dear, sweet sister Vanessa took a turn rather quickly and died on February 23rd. Obviously this took all of our attention! With our minds on being present to V, we weren’t able to promote the campaign and spread the word as much as we had intended when we launched it. The final deadline came and went with many of our friends and community not even realizing the shirts were available. We were so humbled by the response we did get, even in the midst of this, without us even really promoting the shirts ourselves. So many of you ordered shirts, told your friends, and went above and beyond to show your support of the Live Sincerely Project, even as we were off struggling to hold things together with Vanessa and each other. Thank you, from the bottom of our hearts. Much of the funds raised went toward creating the items for Vanessa’s beautiful memorial service, and the rest will be used to continue to spread the Live Sincerely message. 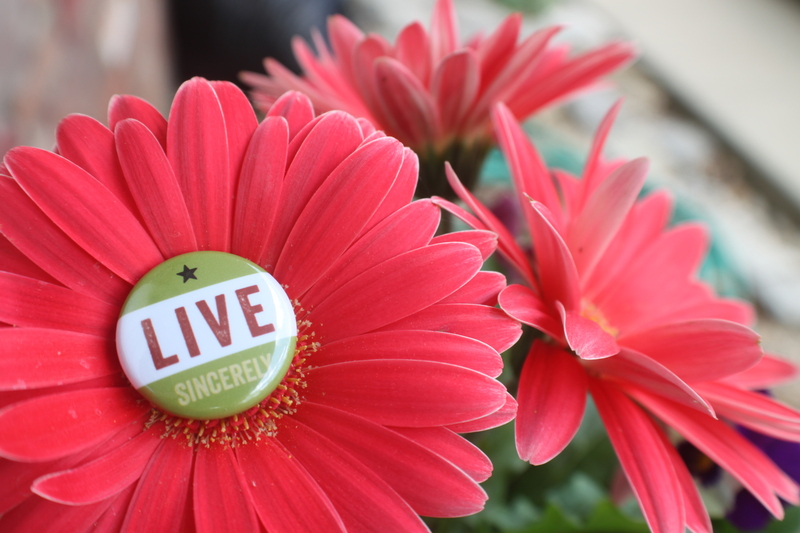 Vanessa loved to hand out Live Sincerely buttons and magnets to everyone she interacted with. We hope to create more items like this to give out and make available. For those of you that missed out, we’re so sorry! We know that not everyone saw the announcements we made before everything got so crazy. If there’s enough interest, we might try another shirt campaign at some later date, to make sure everyone who wanted a shirt gets one. 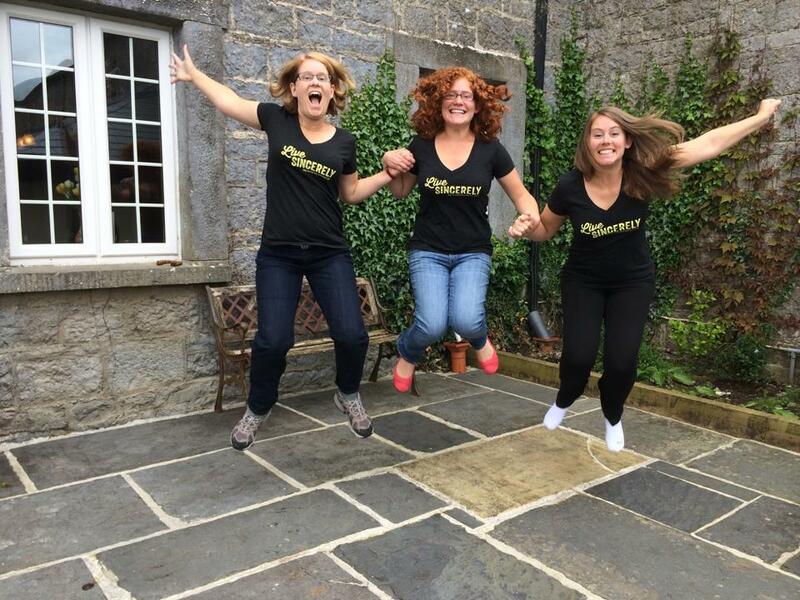 The Ami sisters (Claire, Eve and Grace) rocking their Live Sincerely shirts like a BOSS. Photo credit: Ami family.